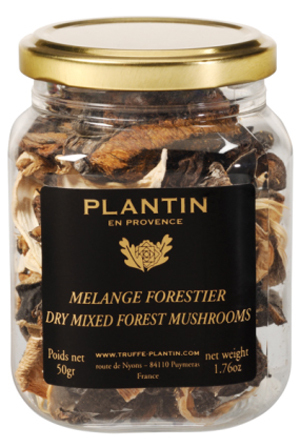 A top quality mix of dried forest mushrooms include dried porcini mushrooms, dried pleurotes and dried black fungus. Ideal to use in omelettes, cream sauces, mixed with pasta, risottos (of course) or incorporated into your meat and poultry recipes. Storage: Can be stored 18 months in a cupboard. You need to first soak your dried mushrooms in tepid water for 30 minutes prior to cooking to re-hydrate them and also rinse them to remove any grit. Keep the water you soak them in as this will have good flavour and can be added to your recipe.